One Heart World-Wide is an organization with over 15 years of experience implementing maternal and neonatal mortality prevention programs in areas where women often die alone at home giving birth. Founded at the request of His Holiness the Dalai Lama, their aim is to improve access to, and utilization of healthcare services to reduce the risk of maternal and neonatal mortality in the most remote, rural areas. We believe that all women and newborns can receive the quality healthcare services they deserve during pregnancy and childbirth, anytime and anyplace. Maternal and perinatal mortality are considered key indicators for health and development. OHW specializes in improving the access to, and the delivery of essential healthcare services in regions where the need is the greatest. They work in remote areas with the lowest human development indexes, where other organizations rarely operate. Pregnant women in these high-risk regions are often faced with little to no access to medical care. Socio-cultural barriers, limited personal resources, lack of information, geographical limitations, and inadequate healthcare services prevent pregnant women from receiving the essential care they need to have a safe pregnancy and childbirth. 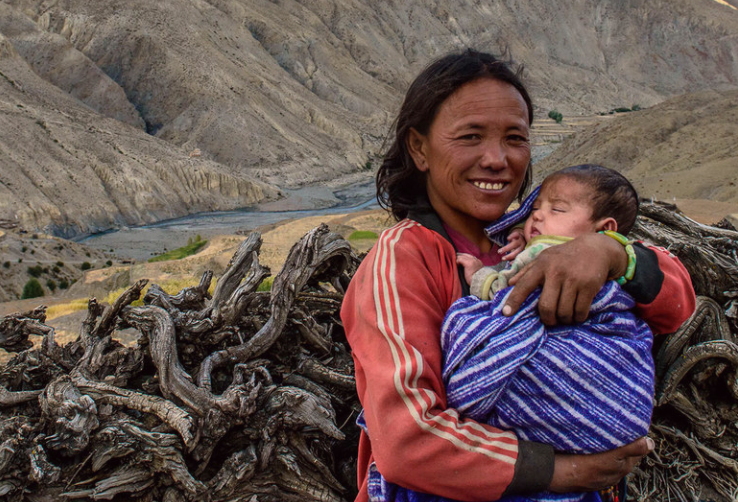 The One Heart World-Wide Gift of Compassion provides for a healthy pregnancy and helps reduce newborn and maternal mortality rates in remote regions of Nepal.